With Visualmodo themes, it's easy to customise your website. There's no platform better to launch your website with than WordPress. All you need is a professionally designed theme from Visualmodo to give your site style and function right off the bat. Get lifetime access to these themes right now for just $39 (approx. £30)! Visualmodo's WordPress themes make it easy to streamline any web project. Its library of professionally designed themes are easy to plug in and immediately offer you a wide variety of features. These customisable and flexible themes fit just about any project, but if you're having trouble making yours work for you, the award-winning customer service from Visualmodo can help you get your site up and running. 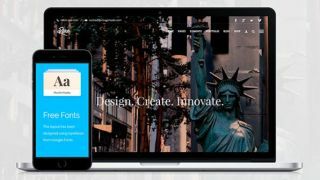 You can get a lifetime of access to WordPress themes from Visualmodo on sale for 84 per cent off the retail price. That makes your total just $39 (approx. £30). It's a great offer for themes that will make your site even better, so grab this deal today!